London & Partners has officially opened its new office in Berlin. Rajesh Agrawal was joined by Berlin’s Deputy Mayor and Senator for Economics, Energy and Business, Ramona Pop, with whom he co-signed a new city-to-city partnership agreement to promote trade and investment between our two European capitals. During the trip, he also had the opportunity to meet with Fintech firms and scale-up businesses and had a great discussion with Berlin Partner, the capital’s promotion agency on how our two cities can collaborate more together as the leading European tech hubs. The Mayor has launched a van scrappage scheme to help London’s microbusinesses and charities scrap older, polluting vans and minibusses and switch to cleaner vehicles, as they prepare for the new 24-hour, seven-days-a-week ultra-low emission zone arriving in central London from 8th April 2019. Rajesh Agrawal recently launched the Skills for Londoners Business Partnership, bringing together representatives from a range of industries to play an active role in informing future skills provision in London. 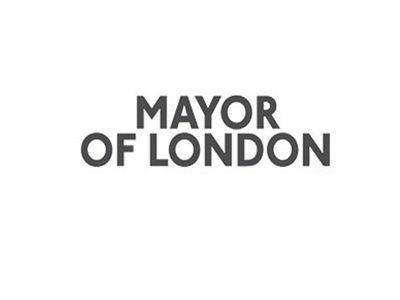 Rajesh looks forward to chairing the partnership which will work with City Hall to help London’s employers access the skills they need today and in the future. The Partnership will also advise on how skills and education provision can help businesses access talent, particularly in response to a range of challenges including Brexit and increasing automation. The London Economic Action Partnership (LEAP) held a roundtable with a group of disabled entrepreneurs to discuss the importance of supporting disabled people in business. The third in the LEAP’s series of diversity roundtables, both Deputy Mayor, Jules Pipe and LEAP member Cllr Peter John took part in the discussion which focused on how the LEAP, the Mayor and business support providers operating in London can provide better business support to disabled Londoners and ensure that they are able to access the existing offer. The Mayor hosted the second annual Business Improvement Districts (BIDs) summit at City Hall on 13 February. Over 100 attendees from London BIDs and local authorities came together to explore shared challenges and opportunities in transforming local spaces and economies. Attendees also heard from speakers including myself and Night Czar Amy Lamé, along with roundtable discussions on issues including business rates and the Mayor’s Good Work Standard. London Growth Hub has begun delivering its Business Rate Workshops for Workspace Providers. This London-wide programme provides free, short interactive workshop and networking sessions which will enable workspace providers including incubators, accelerators, and maker spaces to improve their understanding of: business rates and how they are calculated; business rate relief and the eligibility criteria; and best practice when applying for business rate relief. The workshops, which are also great networking opportunities, are scheduled to take place across the whole of London this March and April 2019. For further information please contact London Business Partnership at info@londonbp.co.uk or telephone: 0208 866 6245. In partnership with the British Library’s Business & IP Centre, London Growth Hub is running a Digital Disruption season, including workshops, mentoring, talks and online webinars, taking place at the British Library. Covering topics from marketing, social media, SEO, blogging and more, entrepreneurs and SMEs will be able to find out how to make their mark and be noticed. The London Growth Hub and Funding London have organized three events supporting BAME and female-founder start-ups. The two workshops are aimed at start-ups at two specific stages of growth: Workshop 1 – ‘Early Stage’ raising their first round of funding and Workshop 2 – ‘Growth Stage’ transitioning from Seed to Series A. The ‘Investor Event’ on 26 March, will comprise of a panel discussion with leading early-stage investors such as, Force over Mass, Downing, and Capital Pilot. The evening will facilitate an exchange between investors and entrepreneurs, addressing many of the challenges faced while fundraising. London Growth Hub has launched another new business support programme, Tomorrow’s Market, aimed at supporting new market traders in growing their businesses and reaching out to new customers and audiences. The programme will match up existing traders with programme participants to give them the experience and knowledge that they need to thrive in London’s markets sector.